One of the greatest challenges you will face following the diagnosis of your child is determining which treatments to pursue to help your child grow and develop maximally. Many treatments are readily available for treating autism making the treatment selection decisions difficult for families. To ensure that your child receives treatment that is most effective for him or her, it is essential that you select treatments that have been shown to be effective. Choosing a treatment that is ineffective for your child may cause your child to lose time from effective treatments in order to access the ineffective treatment. Moreover, the ineffective treatment could be detrimental to the effective treatment you are implementing. Even worse, the ineffective treatment could be harmful to your child. Several factors should be considered prior to starting a new treatment. The treatment should have a research base to support its effectiveness. The intervention procedures should be available in a published paper. The paper describes the participants in the study as well as the methods that were used in the study. The paper describes the intervention in detail and then presents the results that were obtained from the intervention. An intervention does not have a solid research base if it only has one published outcome paper. There is one exception to the research base rule. If you are enrolling your child in a clinical trial, the intervention most likely does not have a research base; hence the need for clinical trials. Please note that clinical trials must be approved by boards that have been established to assess the safety of clinical trial for your child. Read all the information you can about the clinical trial, including the consent form. If you have questions, the investigators will make themselves available to you in order to answer your questions. Once you know that an intervention has been researched, make sure that the research has been published in peer-reviewed journals. Anyone can publish a paper on their personal blog or website. However, the peer-review process helps to ensure that the research is valid. The peer-review process assists researchers in accurately describing their results from the treatment. When a scientist has results that she wants to publish, she submits then to an editor. The editor sends the paper out to several other researchers who are experts in that particular area of stud. The peer-review researchers help ensure that appropriate research methods have been utilized and that adequate experimental control has been employed. If the peer-reviewers agree that the science is sound, then they recommend its publication to the editor. This entire process makes it easier for consumers to know that the research they are reading is valid and accurate. You will know that the research has been peer-reviewed if it is published in a journal with an editor and an editorial board. Some journals and boards are more prestigious than others. This is determined by an impact factor. Typically, a higher impact factor is indicative of a more prestigious journal. Once you have determined that the intervention has been published in peer-reviewed journals, check to see that the publications have occurred across a variety of journals. If all the research on one intervention is published in one journal, a greater likelihood exists that the research has limitations or has not been accepted by other scientists. Similarly, it is important to verify that more than one scientist has studied the intervention. This helps to ensure that the intervention outcome can be replicated across people and locations. In the likely event that you do not have time to critically analyze treatments yourself, you may also turn to various organizations that have devoted time to determining the efficacy of treatments. Each of the entities below review a variety of treatments and treatment methodologies including biomedical intervention, behavioral therapies, medical treatments, and allied therapies. The National Autism Center developed the National Standards Project, set out to identify the scientific evidence for autism treatments. The report was written and reviewed by a team of scientists who collaborated to reach consensus on the findings. The report may be purchased on their website for $19.95. The New York State Department of Health established a multidisciplinary team of individuals to critically analyze a variety of treatments for children with autism. Their findings are available on their website. A booklet of their findings is available at no charge to residents of the state of New York. The information is available for a small fee for non-residents. Research Autism has created a web page describing the efficacy of a variety of interventions. An independent team of scientists evaluated treatments and posted their findings for the public. The information may be found on their website. While the aforementioned reviews are comprehensive, the materials are dated and thus, do not include any recent or emerging research. As such, it is important for families to empower themselves with tools for sorting through the science. Once you have determined that the intervention you are going to implement for you child has been well-researched, then you are ready to select your treatment provider. Carefully select your provider by asking for the degrees and credentials that are available. Ask about training specific to autism and training specific to the intervention that you are going to implement. Has the treatment has been researched on children with autism? Has the research been published in peer-reviewed research journals? Has the research been replicated by a variety of people in different locations? 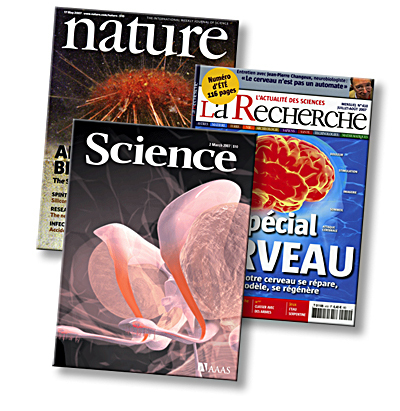 Has the research been published in a variety of journals and not just within one publication? Has the provider had the appropriate training and credentials to provide the treatment to your child? Good luck sorting through the science!